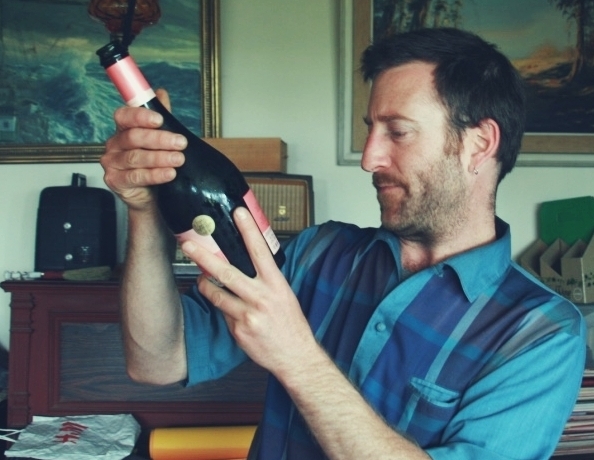 This is a handy guide to understanding terms like in-bottle fermentation and traditional method that you often see on sparkling wine labels. Actually the biggest clue to what a sparkling wine is going to be like when you taste it can be found in these terms describing how the wine has been made. This is because the way in which the still wine is made into sparkling wine influences the style, aromas and flavours of the wine. So, when you are choosing a sparkling wine, it’s useful to know about the method used for the second fermentation. 1) In many cases, the base wine is put into a special, strong stainless steel tank for the second fermentation, along with the sugar and yeast mix called liqueur de tirage. The fermentation produces carbon dioxide, which is trapped in the tank, making the wine bubbly. When the wine is ready, the Liqueur d’expedition (a sugary/wine mix) is added and it is bottled. This is called the tank method or sometimes the Charmat method and is one of the most common methods around the world for making sparkling wine. 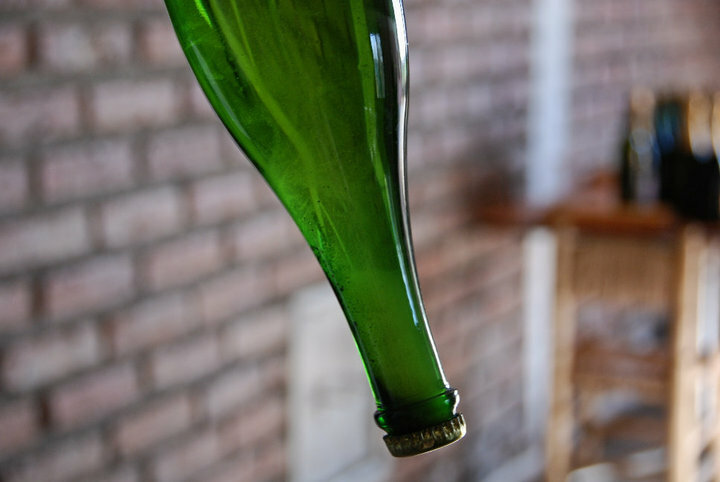 2) The traditional method or in-bottle fermentation method (which used also to be called méthode champenoise) is to bottle the still wine following the first fermentation, add the liqueur de tirage, then put in a temporary cork. Traditionally, the bottles were placed neck first into the holes in a pupitre, a hinged rectangular block. 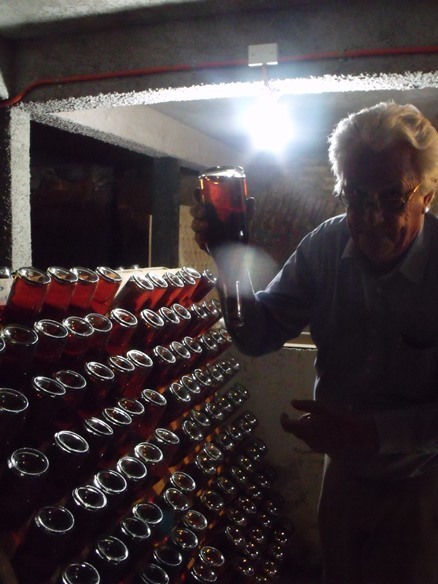 They started in a horizontal position and, over a period of months, were gradually moved by hand until they were upside down, so that the sediment settled in the neck of the bottle. While there are still a small number of companies that still manually riddle their sparkling wines in this way, most use a mechanised system for moving the bottles called a gyropallette. Once the wine is ready, the cap end of the bottle is submerged in a freezing brine solution to solidify the sediment in the neck. Then, in a quick motion, the temporary cork is removed and the frozen block of sediment is ejected from the bottle (along with some wine) because of the pressure of gas inside. This process is called disgorgement. This leaves some space in the bottle, which is filled with Liqueur d’expedition. Then the wine is corked and muzzled and prepared for sale. 3) The transfer method is a modification on this system, whereby the second fermentation takes place in the bottle but then the contents are disgorged into a tank under pressure, filtered and the liqueur de tirage is added. Then the wine is bottled again. Many bottles with “in-bottle fermentation” on their label may also have been made using this system. 4) Some very cheap sparkling wines are simply carbonated (like fizzy drinks). 5) Finally there are some wines made using the Asti method. Where normally sparkling wine is made from a dry wine which already completed its first fermentation, in the case of an Asti-style of wine, the process takes place in just one fermentation, which is never completed, as the winemaker chills the wine when it reaches around 7%-7% ABV and has achieved the right level of gas. Then it is filtered, bottled and sold for immediate use. So these wines are sweet and relatively low alcohol. So how to choose a style of sparkling wine to suit your taste? 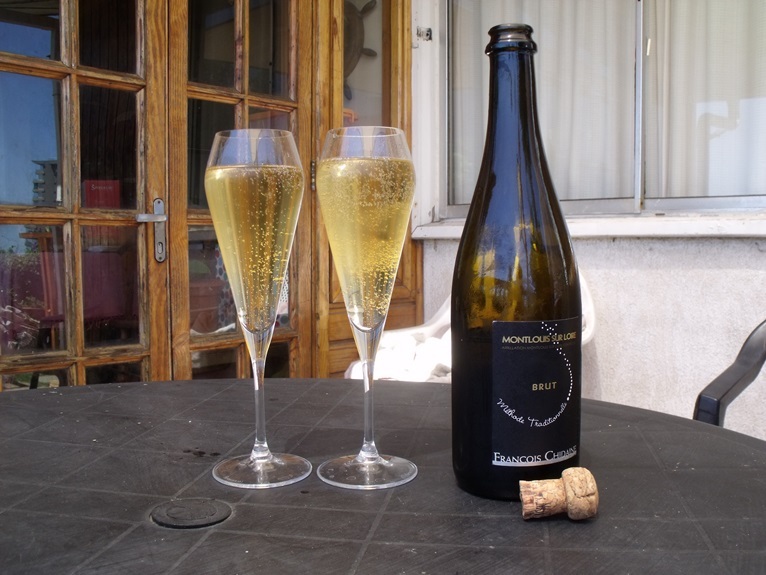 If you are looking for a fresh sparkling wine with fruity aromas and a clean, refreshing mouth, in the style of the light, fruity Prosecco so popular at the moment, then a tank-fermented wine is a good option. If you want something more complex, with a denser, creamier mouth and aromas and flavours reminiscent of sponge cake, toast, biscuits or bread, then an in-bottle fermentation wine is a good option. These notes come from the time the wine spends with its yeast sediment in the bottle. Some also argue that the bubbles are finer. Champagne is made in this way, as is Cava from Spain and many premium sparkling wines from many countries of the world. Chile is no exception, producing many very delicious and affordable sparkling wines using the traditional, in-bottle fermentation method. If you fancy trying something a little different, you could try something made with a different variety of grape – in Chile, there are now a number of sparkling wines made with the País grape – check out Miguel Torres’ Estelado or Schwaderer Blanc de Noirs for interesting traditional-method wines from País or Bouchon produces a light tank-fermented style. To discover how to tell how sweet a sparkling wine is, check out my post How to choose sparkling wine (1).